My name has been dragged in mud and my family lives in fear. No justice is served to me and my destiny is in the hands of the Lord. Our nation is condemned and still on the farm of the French colonialists. 7 years ago, yes 7 years, incarcerated for a crime that I have never committed. I have done my peace with Allah and I am ready to meet my God. My health is deteriorating, and I am approaching my time. I call on all French-speaking countries, politicians and service providers to come; look to the left, then look to the right, compare your country with the English-speaking countries of Africa next to you, tell me there is nothing wrong with our system. “Country of great ambitions”. “The strength of the experience”. Why continue to deceive us?! Our president has led the country to shame. Anglophones have never been considered citizens of the Republic of Cameroon. They will do well themselves without the union with the system of banditry that the French have established on our territory. There are many things I want to talk about, but my time is short. My book will be published which contains stories and factual events when I will not be alive. I write this with tears in my eyes. My family, my people and my nation, open your eyes and see what is in front of you. There is no development in French-speaking countries. We are all slaves of France. Anglophones are mixed up in this mess because without their territorial resources, the Republic of Cameroon will be reduced to a dead zone. In the name of god “clement and misericord ….. Allahuakber”. We hope that the disciples of the french slave called Biya in the persons of Philomen Yang, “my conti pipo”, Patrick Ekema, Elvis Ngolle, Ghoghomu, Peter Abeti, Atanga Nji, Musonge, Paddy Assanga and the rest are taking note. Marafa used to be the choir boy of the criminal call Biya. Now you can see how Biya is repaying him today. Biya is going to decompose alive. Weather those criminals and their masters like it or not, a better feature lies ahead of all African people. The devil can not stop the creator given aspirations of man. 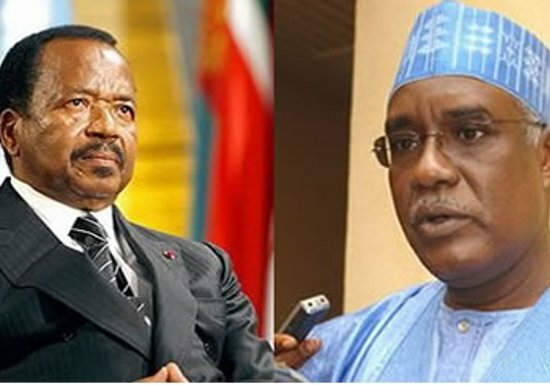 I have no pity for Marafa and his likes of French Cameroon extraction. As minister of territorial administration he was instrumental to reducing Southern Cameroonians to second class sub humans at the behest of the dictator. Having fallen now from grace and seemingly crying for pity at the grave side he certainly is not fooling me. I only hope that the current crop of lackey surrounding the devil will learn and make hast to abscond before they are Shepard into kondengui or die in some mysterious way. Lately two of his former servants have made their way abroad- one to Canada and the other to he United States. What a country!